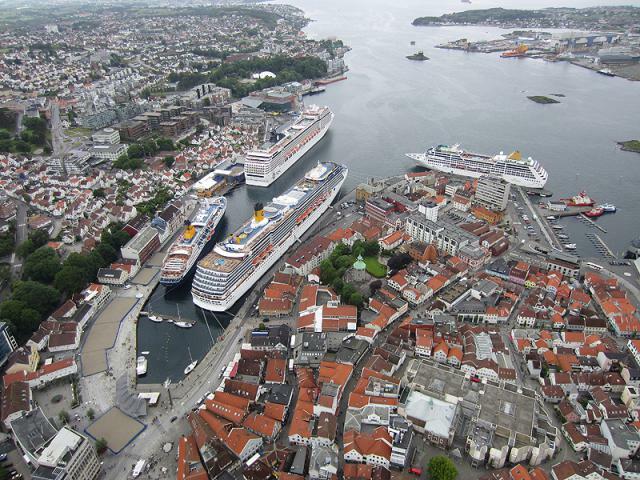 Stavanger happens to be one of the first ports of call for cruise ships coming to explore the famous Norwegian fjords. This summer, we're expected to welcome 170 ships into our harbour downtown. These ships are absolutely massive. Having never taken a cruise before nor really been that close to one, it was a bit of a shock to be standing so close to these massive floating buildings. They tower over land structures in Stavanger Sentrum and it always amazes me to see more than one parked in our tiny little harbour. The ships usually pull into the harbour in the morning and the passengers have the opportunity to disembark and explore the region. If they're lucky, it won't be raining and they'll be able to wander the cobblestone streets of downtown, have a drink at one of the many restaurants lining the harbour or even take one of the smaller boats down Lysefjorden to view Preikestolen from the water before boarding their cruise once again before dinner. My favourite part is just before they depart at the end of the day, they blast music and everyone crowds on to the decks to wave good bye. 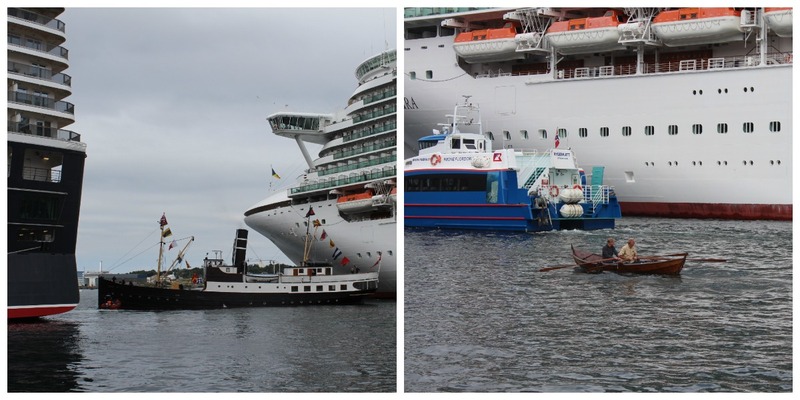 we get a lot of these in the harbor in bergen too and im so tempted to just go on one someday! ive never been on a cruise either...but the ships just seem so massive! This makes me want to cruise too! Looks so pretty were they are docking! I want to go! you know i had never seen a cruise ship until about a year ago in sf. i swear i thought i was a building and then realized it was a ship. i mean they are MASSIVE! I can't believe those huge ships fit in that tiny harbor. Couldn't imagine being the captain trying to squeeze those in there. Beautiful images! I love cruises! Nominated you for the Liebster Award... details are on my blog. That sounds positively romantic (looks that way too). How on earth did you get some of these shots? Were you in a helicopter or something? How cool! I think I've only seen cruise ships a few times when they were docked in NY, and I was astounded at the size as well. How neat that you live in a port of call!! Cruise ships are the ultimate party barges. 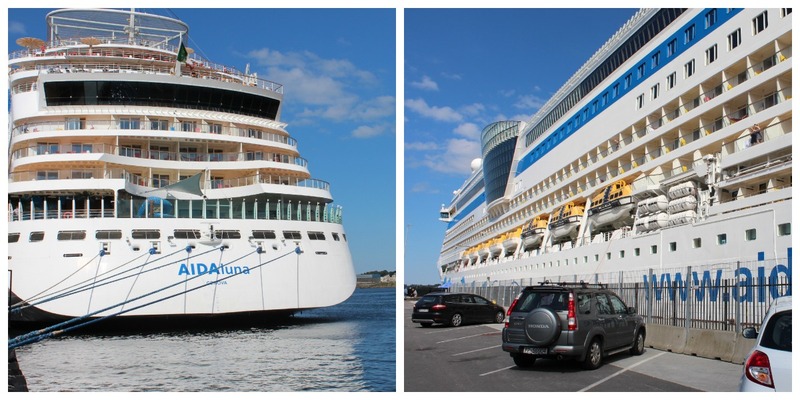 If you think about it, cruises are not such a bad way to see multiple cities on a trip. You are staying on a floating hotel and never have to worry about booking reservations or catching a train. You go to sleep at night and wake up at your next beautiful destination.